Please see the event flyer below for some great workshops and networking events coming up in 2017. Our regional tourism organisation Goulburn River Valley Tourism is hitting the road and visiting key locations throughout the Murrindindi Shire in March 2017 as part of the ‘Doing Business Better’ program. Please join us to learn more about the Heart of Victoria region and how you can engage with Goulburn River Valley Tourism to promote and develop your business and attract more visitors to your events and destination. Hear from the Goulburn River Valley Tourism team. Have your questions answered. Put forward your thoughts and ideas. We look forward to seeing you in Kinglake, Yea, Alexandra or Marysville in March. Quality Service wins the game! Murrindindi Inc. and Murrindindi Food & Wine Inc. presents a Meet the Maker evening -incorporating th e results from the two groups AGMs. This free event is being held at Holmesglen – Eildon Rural Learning Centre and Conference Retreat. Join us in an industry night to celebrate our successes and hear our plans for the next 12 months. Enjoy complementary local produce with drinks available for purchase. 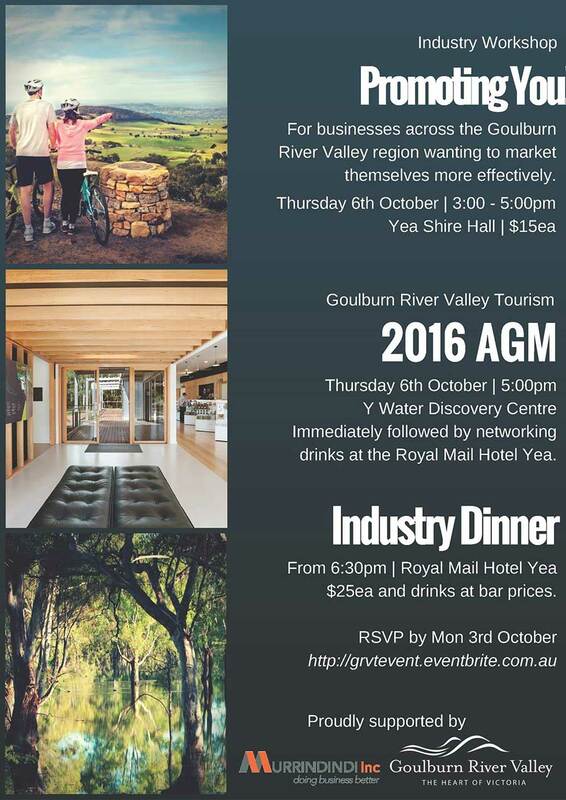 Please see the upcoming Goulburn River Valley Tourism Industry Workshop that promises to be a very informative event with many valuable reasons to attend, especially a great chance to network for further business opportunities and to share what is happening in our region. 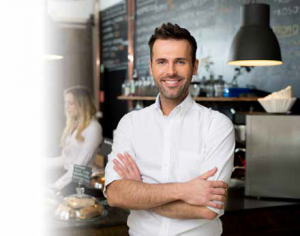 Murrindindi Inc together with Small Business Victoria and Workspace Australia are presenting a series of workshops to support businesses in the Murrindindi Shire. 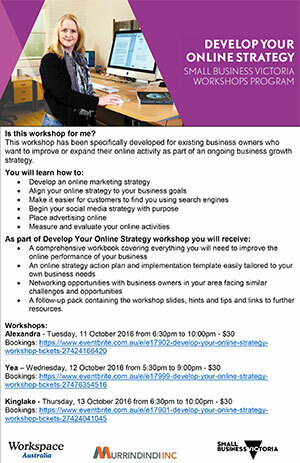 These workshops have been specifically developed for existing business owners who want to improve or expand their online activity as part of an ongoing business growth strategy. Businesses are welcome to attend the workshop that is most convenient. A clear business plan is an essential determiner of long-term business success – as the saying goes, ‘fail to plan and you plan to fail’. Murrindindi Inc together with Small Business Victoria and Workspace Australia are presenting a Business Planning Essentials Workshop. 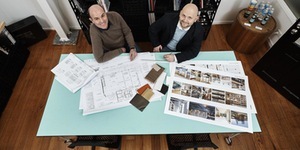 Get the tools, templates and support you need to guide you through the key steps in the planning process and give your business the best chance of success. In just two hours, this seminar will help you to create a clear one-page plan for your business. © 2019 Murrindindi Inc. All Rights Reserved.